This post is a continuation of Alaska Cruise – Week 1. 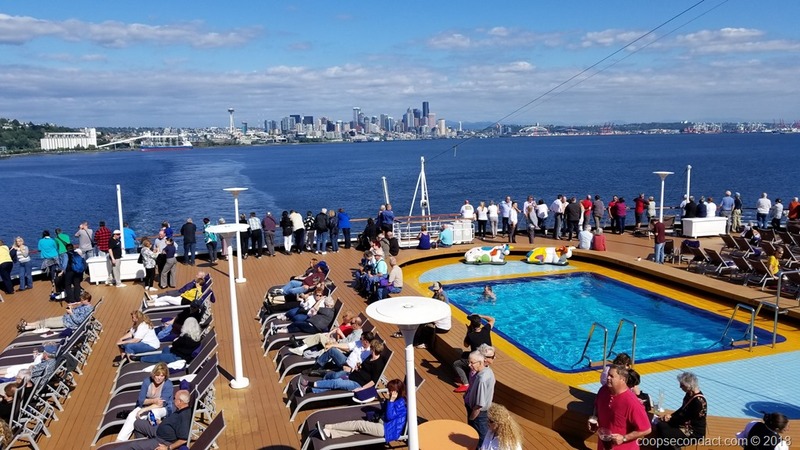 We took a 14 day cruise aboard the Zaandam, a Holland America Lines ship, round trip from Seattle to several ports in Alaska. Neither of us have much cruise experience but we were thrilled with the level of service and the quality of the food aboard this ship. We heard similar comments from more experienced cruisers as well. Every evening in the main dining room was a fine dining experience with a varied menu that changed every day. And they even had selections that suited our particular food preferences. With a 14 day itinerary we were able to visit ports that don’t get a lot of cruise ship traffic. The following is a summary by day of our experience.